Please see below a list of some of our customer feedback that we have received. This feedback and more are also located on the Fife Trusted Trader website and can be accessed through this link here. Some of our valued customer feedback. "Excellent workmanship, friendly, clean and tidy (every day after work – brushed & hovered any debris). Highly recommended." "Very pleased with work done. Joiners very friendly, professional, I would definitely recommend Taylor Joinery Services." 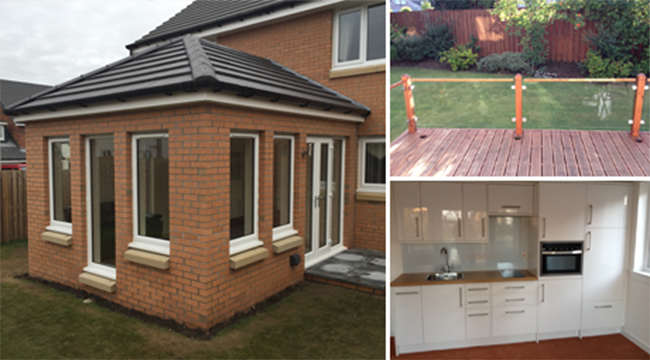 "Very pleased with standard of work, time scales and cost. The team were very professional through out works and always cleaned after them." "An excellent service from a fantastic company. They were really hard working. Appreciable when I changed my mind and always offered advice. They left the house immaculate daily and didn’t grumble about moving around furniture. I could not recommend highly enough. Resisted my faith in workmen!!" "Very happy with the overall service provided. TJS was used by my neighbours and I was given good recommendation from them. I have recommended the service to other family members & friends. Will definitely use again for other work." "Phillip Taylor Joinery always provide the best quality of service and value for money. Job is always left clean and tidy with all materials removed and area kept clean."